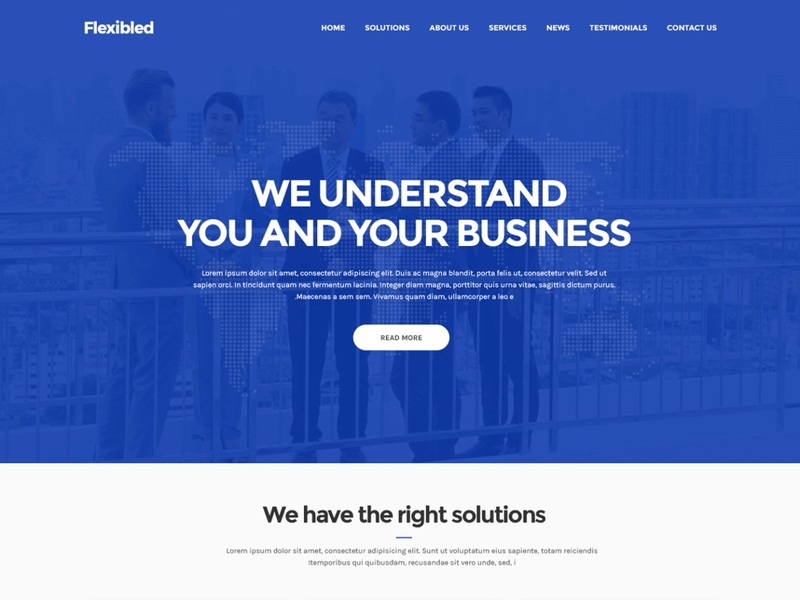 Flexibled is single page WordPress theme comes with a modern layout and easy to use theme options with click to navigate sections. This theme has a nice version of a sticky header scroll according to a particular section. All of the design elements you associate with a good one-page website are present in this theme: a full-screen slider and multiple page templates, and the ability to create full-width sections. This theme has a few options colors, slider settings, widgets etc. This theme is fully responsive to perform well with all screen resolutions. This theme is compatible with the most popular plugins like WooCommerce and contact form 7.